The practice is part of Scarborough General Practice vocational training scheme and has been since its inception. Two GP Registrar posts are available - see below. The current trainers are John Reay and Lucy Hobkinson and the other doctors and team members. 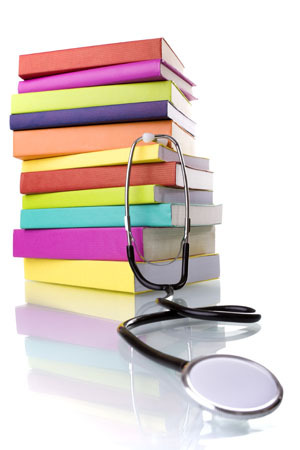 We aim to provide an appropriate balance between clinical experience, teaching and study time. The practice has a relatively stable population with a high proportion of elderly patients most of them in their own homes. We have a strong personal list ethos and encourage registrars to establish ongoing doctor-patient relationships in as much as this is possible in a 6 month period. Formal teaching consists of two ninety minute tutorials each week. We encourage Registrars to take study leave, both formal courses and informal attachments to other specialities (for example palliative care, dermatology) in which they may lack experience. The Registrar has their own room and ongoing study is facilitated by fast internet access from every desktop and a well stocked, quiet, library. Registrars are expected to attend and participate in weekly lunchtime clinical meetings and are welcome at the monthly evening business meetings. These presentations have been written by members of the practice for various purposes mainly as PowerPoint presentations for lectures to GPs or GP Registrars or for use in one to one tutorials. You are welcome to use them within your practice though we would expect you to acknowledge us as your source!. The practice also provides training for medical students from Hull and York Medical School. The students are attached to the practice for eight weeks and during that time gain experience of life in general practice. Students sit in with GPs during surgery and you may be asked if you mind if there are students present. It’s not a problem if you would prefer them not to be present, as we can always either book you into another surgery or ask them to leave during your consultation. The practice also provides training for nursing students from York, and Hull Universities and this year will also be supporting student nurses from Coventry University (Scarborough Campus). Placements range in length but are usually for a minimum of twelve weeks. During the placement the students will work closely with our Nursing Team, participating in patient care under supervision. The students are also encouraged so spend time with the District Nursing Team and other Healthcare Providers to ensure they are given a wide range of learning opportunities and experiences. You may be asked if you would be happy to have a student present at your appointment.